3020 Dental, your Albany Park Dental Office, welcomes new patients or all ages. Your first visit will last approximately 1 hour. During that appointment we will review your dental and medical history, take x-rays and evaluate your mouth. We will also give you a tour of our Albany Park dental office and review our office policies with you. The dental team at 3020 Dental will begin by reviewing the medical, dental and patient registration data with you. You will receive a comprehensive dental exam, dental x-rays, a head and neck cancer screening, a periodontal evaluation and a baseline dental charting. You may receive a routine cleaning on your first appointment depending on your overall periodontal condition. Dr. Reddy will discuss the current state of your dental health and outline your treatment planning options to complete any dental work you may need or cosmetic dentistry you may want. Children will receive a complete examination, have their teeth cleaned, fluoride applied, and any necessary radiographs taken. A major emphasis will be placed on teaching them prevention, including proper home care and diet. 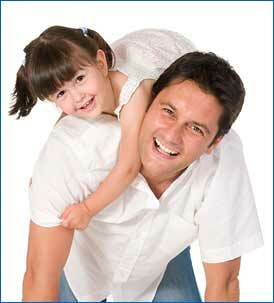 We have a pediatric dentist who will take excellent care of your child. Mythili Rajesh, DDS, MS, our Pediatric Dentist, is committed to providing your children with a comforting and nurturing dental experience. We accept AllKids!